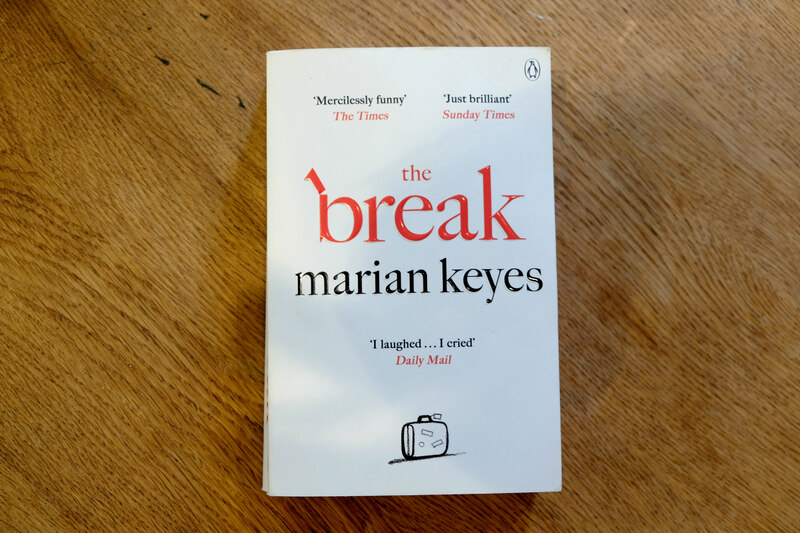 I first came across Marian Keyes when her short stories were included in Girls Night In. Her style of writing often centers around modern love stories where she captures the complexity and often irrational emotions of her characters. Over the years I have dipped in and our of reading her books. Romance novels aren’t really my thing especially when you read the back and it ends with ‘will Rosie get her man’! I picked up The Lido at the airport and threw in The Break by Marian for a half price deal. The Break* centres around married couple Amy and Hugh who have three teenage daughters and live in Dublin. Amy travels regularly to London for her PR work and Hugh has had a tough couple of years as family close to him has passed away. Out of the blue Hugh tells Amy he wants a break from their 20 year marriage almost immediately booking a flight to Thailand and leaving. Shocked and hurt Amy has to deal with her large Irish family’s reactions, her teenage daughters instant hatred towards their father and friends expectations to hate all men for the rest of her life. I found the first few chapters hard as Amy is processing her feelings and true to life Marian drags this out a bit because there is always life and other responsibilities that take centre stage. I did get to a point where I hoped the story would move forward as the book is huge, 672 pages and I couldn’t finish it if it was all whoa is me and Amy crying at work again. I also happened to listen to Marian on Love Stories podcast and it was interesting listening to her inspiration and research about this topic. 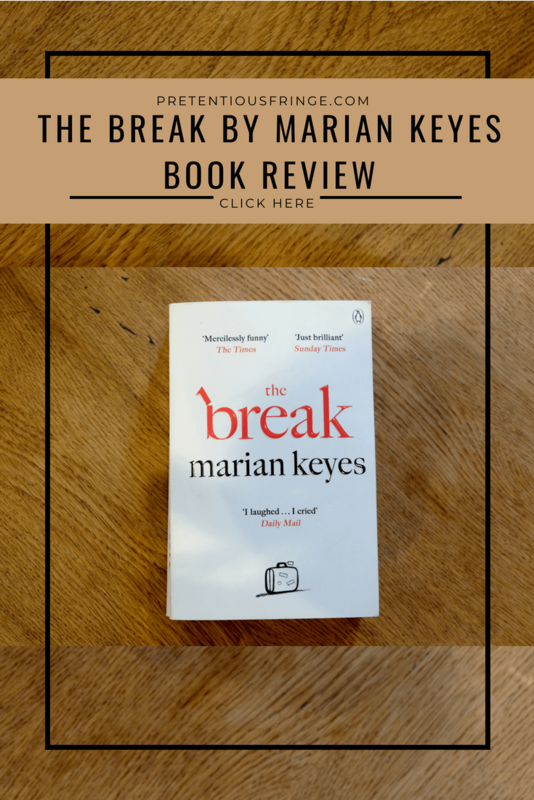 Unlike in her book she found it is often the female who instigates a break, that relationships lasting potentially 60 years is terrifying and also society’s concept of a relationship typically does not work for many. Whilst Amy and Hugh’s break is the main storyline there is plenty of other dramas going on. Neeve, their eldest has a YouTube channel and it becomes successful due to Amy’s mum, Grannie, making an appearance. Amy’s father has dementia adding pressure to the family financially and emotionally. One of their daughters, Sophie, falls pregnant and Marian successfully writes about the abortion experience for Irish women, timely given the recent vote. Her best friend is keen to trash all men and wants Amy to get on board. Then there are a couple of love interests for Amy which keep it all quite lively. 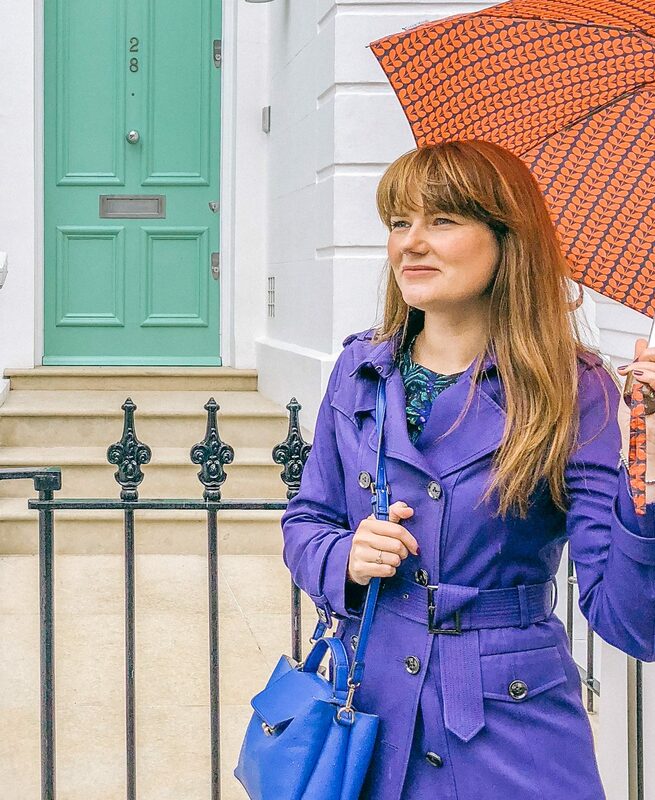 Amy’s large Irish family, her work colleagues and trips to London add more colour and wit to the overall story. There is a reason why this book is so big!